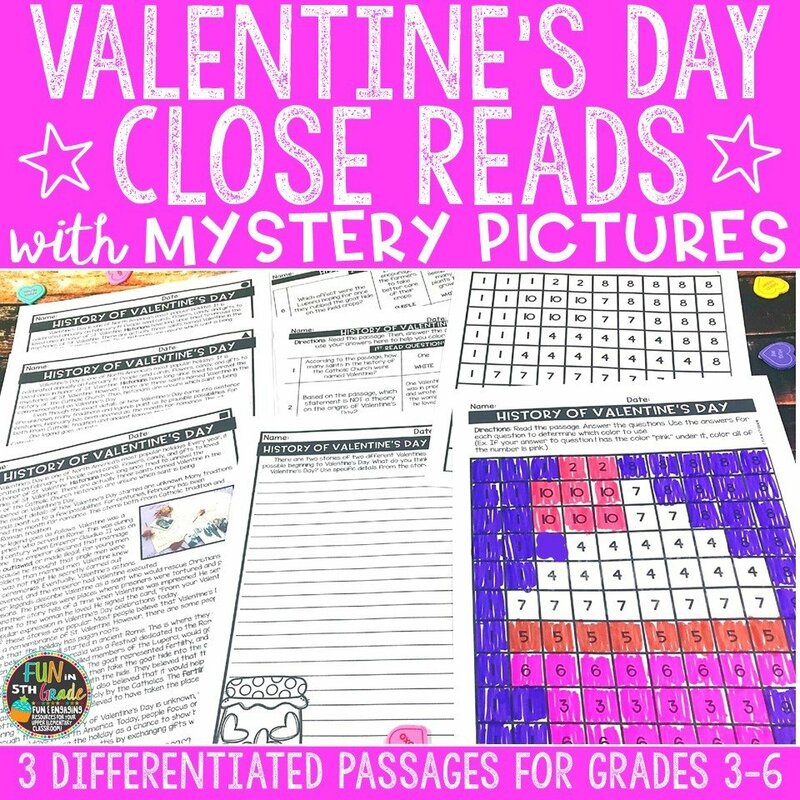 Celebrate and educate students about the holiday of Valentine's Day with these close reading passages that include mystery pictures! Just print and GO! 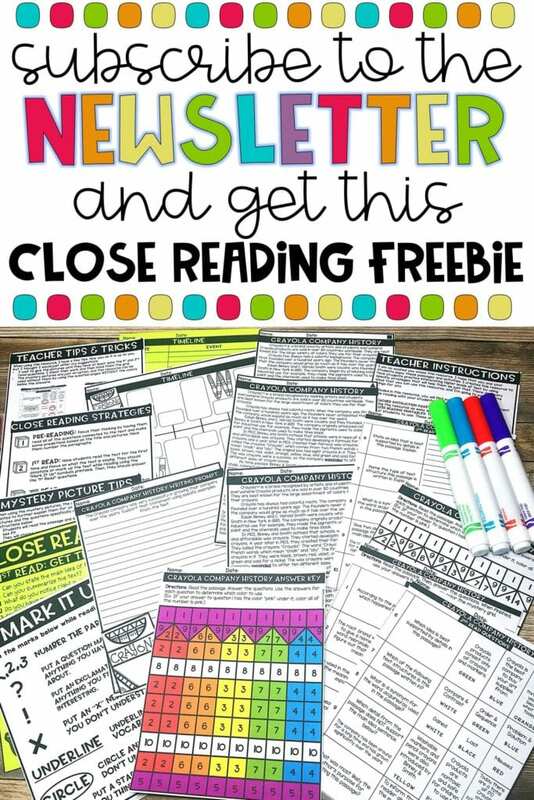 "Engaging reading passages! 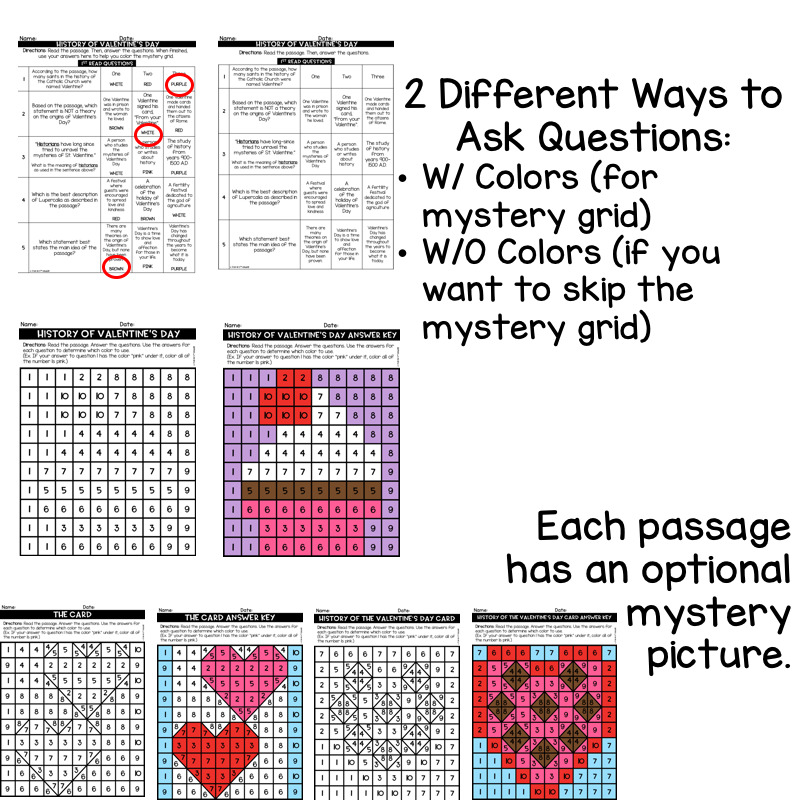 My students really enjoyed reading these and completing the mystery pictures!" 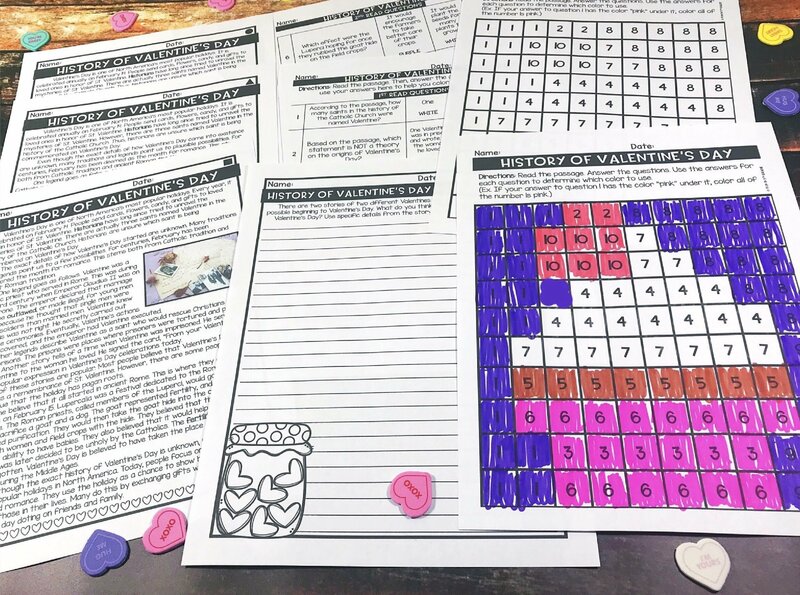 "I had been looking for some passages for Valentine's Day and was disappointed that I couldn't find what I wanted, so I was SO happy to see that you had added these! Thank you so much. I know the mystery pictures will motivate my students to read." 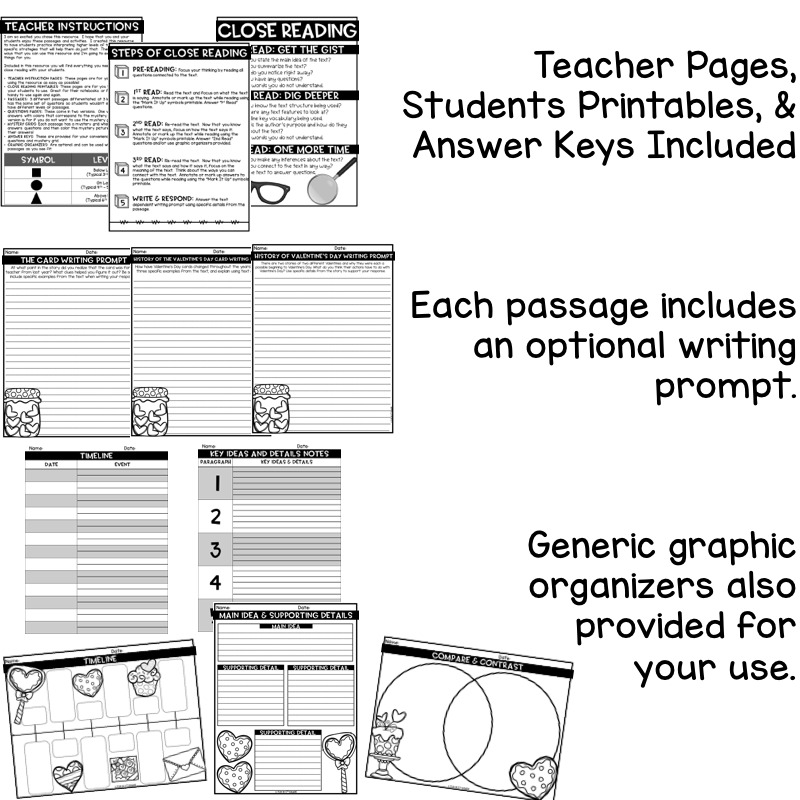 "I would highly recommend this resource for 4th grade ELA! 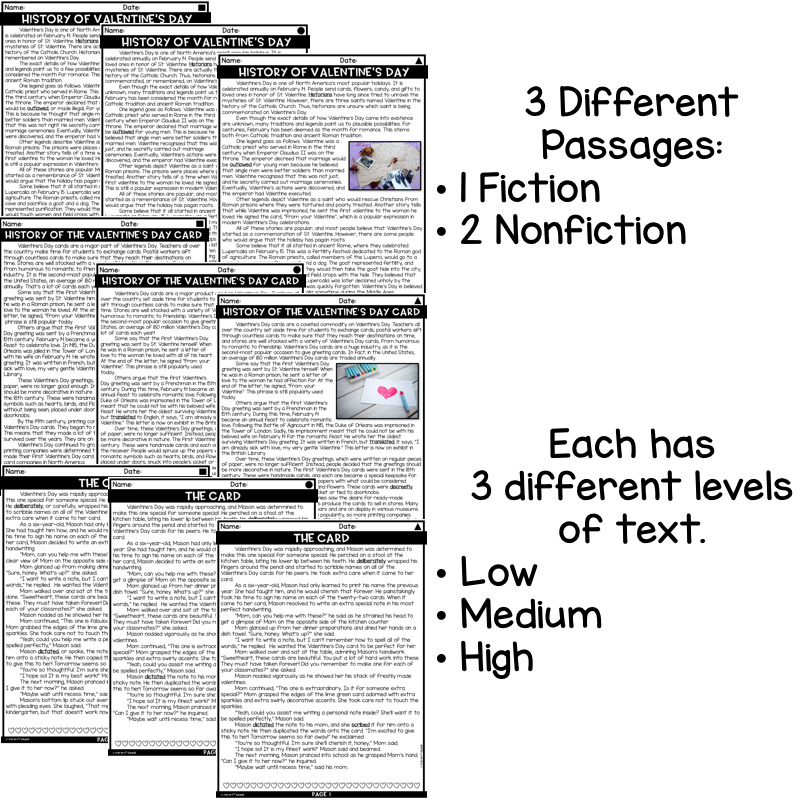 My students loved it and the text was perfect because of all of the choices for levels. My students were interested and on task!"